SEAT ALTEA 1.6 2004-2015 INJECTOR INJECTION VALVE. ENGINE CODE -BSE. We won’t take any responsibility for the compatibility of parts unless we have explicitly said it will fit. THIS PART FITS OTHER MODELS AND ENGINE SIZES. 2014 SEAT LEON Injection Rail. This item has been removed from a: 2014 SEAT LEON. Model: LEON. Year: 2014. Part Type: Injection Rail. Fuel type: Diesel. Make: SEAT. Body Style: Hatchback. ENGINE CODE -BLR. SEAT LEON MK2 1P 2.0 FSI 2006-2010 INJECTOR INJECTION VALVE. We won’t take any responsibility for the compatibility of parts unless we have explicitly said it will fit. THIS PART FITS OTHER MODELS AND ENGINE SIZES. 2008 SEAT LEON MK2 (1P) 1.9 DIESEL TDI (BXE) GENUINE BOSCH PD FUEL INJECTOR 038130073AG 0414720215. THIS ITEM IS A USED SEAT LEON MK2 (1P) 1.9 DIESEL BOSCH FUEL INJECTOR, REMOVED FROM A 2008 SEAT LEON STYLANCE TDI. 2015 SEAT LEON 1.6TDI CLH CLHA - ENGINE WIRING LOOM. OE Part Number - 04L972627AK. 1.6TDI (Code - CLHA). Fuel type Engine Size/Code Body Style WE ARE BREAKING THE FULL CAR. HERE WE HAVE FOR SALE. ENGINE CODE -BWA. SEAT LEON MK2 1P 2.0 TFSI 2006-2010 INJECTOR INJECTION VALVE. We won’t take any responsibility for the compatibility of parts unless we have explicitly said it will fit. THIS PART FITS OTHER MODELS AND ENGINE SIZES. Seat Leon 1.8 20V Turbo Fuel Rail And Injectors Seat Leon 1.8 20V Turbo Fuel Rail And Injectors In Good Used Condition. Seat Leon 1.8 20V Turbo Fuel Rail And Injectors In Good Uséd Condition. 2003 Porsche 996 3.6 Carrera 4S Accelerator Throttle Pedal Unit. 1998 SEAT IBIZA MK2 FACELIFT (6K2) 1.9 DIESEL - FUEL INJECTION / INJECTOR PUMP 028130110S / 0460484127. THIS ITEM IS A USED SEAT IBIZA MK2 FACELIFT (6K) 1.9 DIESEL FUEL INJECTION PUMP, REMOVED FROM A 1998 SEAT IBIZA SE D.
Part number 04E133320D. 2016 Seat Ibiza FR. Mileage: 1621 miles. 1.2 Petrol. Here you are buying. Part used in good condition. SEAT LEON (2005 - 2012) MK2 1.2 TSI S Emocion 5dr. OTHER CONSIDERATIONS. ANY COMPATIBILITY GIVEN SHOULD BE USED AS A VERY GOOD GUIDE 'ONLY.'. Our used parts are tested by us and any oversight is accidental. SEAT IBIZA (CHILL). Injector Rail & Loom. 2002 02 Reg. Removed From A. SEAT IBIZA MK5 / VW POLO MK8 1.2 TSI CBZ 2010-2016 FUEL PUMP 03C127026P. PART NUMBER: 03C127026P. Model: IBIZA MK5 1.2 TSI CBZ. FOR YEARS: 2010, 2011, 2012, 2013, 2014, 2015, 2016 (2015). Manufacturer: SEAT. Part No: 03L130089P. VW SEAT SKODA AUDI 2.0 TDi CFF CBD 2009 - 2012. Diesel Injector Rail. You are signing to say you have received the item(s) in good condition. (INTERNAL OFFICE USE ONLY - ID.03L89P). SEAT IBIZA 1.2 TSI. THE CAR HAD ONLY DONE 361 MILES. FUEL INJECTION RAIL. PART NUMBER: 04E 133 320D. Removed from a 2015 (2013 To 2016 range) SEAT Leon SE Technology TDi 1.6 Diesel Manual 5 Door Hatchback, Engine Code CLHA. SEAT Leon Fuel Rail. Leon 2013 To 2016. SE Technology TDi. Body Shape. Gaskets & oil seals are not covered. SEAT LEON Injector Pump (High Pressure). LEON 1999 -2005 Mk1 (1M). 2002 SEAT LEON which we are dismantling. The Part imaged and described is th eactual part you will recieve. Drive side. Drive type. 2008 SEAT LEON MK2 (1P) 1.9 DIESEL TDI (BXE) GENUINE BOSCH PD FUEL INJECTOR 038130073AG 0414720215. THIS ITEM IS A USED SEAT LEON MK2 (1P) 1.9 DIESEL TDI BOSCH FUEL INJECTOR, REMOVED FROM A 2008 SEAT LEON STYLANCE TDI. 2008 SEAT LEON MK2 (1P) 1.9 DIESEL TDI (BXE) GENUINE BOSCH PD FUEL INJECTOR 038130073AG 0414720215. THIS ITEM IS A USED SEAT LEON MK2 (1P) BOSCH FUEL INJECTOR, REMOVED FROM A 2008 SEAT LEON STYLANCE TDI. 1.4 TSI HIGH PRESSURE PUMP;. Trim SPORT TSI. 125.00 BHP. SEAT LEON Injector Pump (High Pressure). LEON 2005 -2012 Mk2 (1P). 2009 SEAT LEON which we are dismantling. Colour Black. The Part imaged and described is th eactual part you will recieve. Part number 036133320. 2013 Seat Ibiza Toca. 1.4 Petrol. Fuel Rail with Injectors. Here you are buying. Part in good used condition. Removed from a 2015 ( Leon 2013 To 2016 range) SEAT Leon SE Technology TDi 1.6 Diesel Manual 5 Door Hatchback, Engine Code CLHA. SEAT Leon High Pressure Fuel Injection Pump. SE Technology TDi. Leon 2013 To 2016. 2008-on SEAT IBIZA 1.2 Diesel Fuel Railp/n 03P0890064988 With Pressure Sensorsp/n 057130764AB. Removed from 2011 SEAT IBIZA 6J ECO 1.2 diesel (engine code CFWA), 5 speed manual, 3 door hatchback. White LB9A. Removed from a 2015 (2013 onward range) SEAT Leon SE Technology TDi 1.6 Diesel 5 Speed Manual 5 Door Hatchback. SEAT Leon 1.6 Diesel Injector. SE Technology TDi. Leon 2013 To 2016. Body Shape. Gaskets & oil seals are not covered. PART NUMBER : 04L089D. SEAT LEON FR 2.0TDI 2013-WITH 54K MILLAGE. FUEL RAIL WITH SENSORS. THERE MIGHT BE SIGNS OF USE AS EXPECTED FOR AN USED ITEM OF THIS KIND. OE Part Number - 036133320. 2012 SEAT IBIZA 1.4L MK5 6J - FUEL RAIL COMPLETE WITH INJECTORS. Vehicle Colour WHEEL BOLT. Fuel type Body Style WE ARE BREAKING THE CAR PICTURED. HERE WE HAVE FOR SALE. ENGINE CODE -BWA. SEAT ALTEA 2.0 TFSI 2004-2010 INJECTOR INJECTION VALVE. We won’t take any responsibility for the compatibility of parts unless we have explicitly said it will fit. THIS PART FITS OTHER MODELS AND ENGINE SIZES. 2005 SEAT LEON MK1 (1M) 1.4 PETROL (BCA) MAGNETI MARELLI FUEL INJECTION RAIL & INJECTORS 036133319AA. THIS ITEM IS A USED SEAT LEON 1.4 PETROL FUEL INJECTION RAIL & INJECTORS, REMOVED FROM A 2005 SEAT LEON S.
SEAT IBIZA Fuel Injector. 2006 SEAT IBIZA which we are dismantling. Trim TDI SPORT. 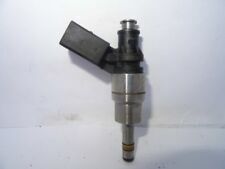 INJECTOR (DIESEL) bosch 0414720037;. The Part imaged and described is th eactual part you will recieve. This actual part was removed from a.
OE Part Number - 04L089B, 057130764AB, 04L906054. 2015 SEAT LEON 1.6TDI CLH CLHA - ENGINE FUEL INJECTOR RAIL. 1.6TDI (Code - CLHA). Fuel type Engine Size/Code Body Style WE ARE BREAKING THE FULL CAR. 2008- 2012 SEAT LEON 1.4 TSI 125.00 BHP Petrol HIGH PRESSURE FUEL PUMP . Condition is Used. Part number 04E127026AG. 2016 Seat Ibiza FR. 1.2 Petrol. High Pressure Fuel Pump. Here you are buying. Part used in good condition. SEAT LEON MK3 5F FR 2017 FUEL INJECTION RAIL PRESSURE PIPE. VAG Fuel Injector Rail 2017. (SEAT IBIZA Injection Rail 0000301585. This item was removed from a 2005 vehicle. Jersey, Guernsey, Scilly Isles) as well as for the Scottish Highlands.